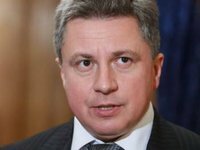 Pechersky district court of Kyiv has satisfied a petition of senior investigator of the specialized investigation department of the Prosecutor General's Office of Ukraine (PGO) and arrested accounts of Oleksiy Azarov, former MP and son of ex-prime minister of Ukraine Mykola Azarov, in several Swiss banks. The court ruling has been published in the unified register of court rulings. The court arrested 10 accounts of at Bank Julius Ваr, Coutts&Co AG and Banque Internationale a Luxemburg S.A. and money remained on these accounts in the amount of CHF 600,000 and debit transactions with these accounts. According to the ruling, Oleksiy Azarov being lawmaker received large sums of money which origin is unknown. "In the period from December 12, 2012 through November 27, 2014, PERSON_3, running the official post, received from property the origin of which has not been identified by the investigator in the amount of EUR 7.7 million, CHF 600,000 and $500,000, which he placed in the banking institutions of Switzerland, Italy and Liechtenstein. PERSON_3 after receiving income of EUR 7.7 million, CHF 600,000 and $500,000 EUR 7.7 million, CHF 600,000 and $500,000, in order to conceal his true incomes and their origin, in 2012-2014, as the people's deputy declared entire income of only UAH 19.654 million," the court ruling says. Azarov is wanted since 2015. On January 23, 2015, he was notified that he is suspected of a criminal offense under Part 3 of Article 368-2 of the Criminal Code of Ukraine (illegal enrichment).